Or, if you get this post in you email inbox, simply reply and attach a photo to it. Today we'll be sharing some ideas on finishing your piece. Often (I am totally guilty of this), we'll finish crocheting (or knitting), tie it off and it feels complete. However, there are still a few little things to make it look its best. 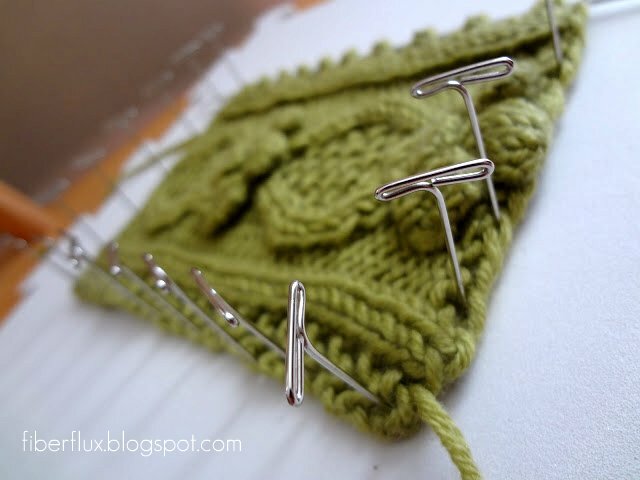 It is important to take the needed time on this step, because it really makes a huge difference when taking just a bit of time to make the ends and seams nice and neat. If you desire, you can block your project. If you used a synthetic yarn such as acrylic, it probably won't make much of a difference but a natural fiber like wool for example, it might benefit from a little straightening out. However, the stitches we used for this cowl lay nice and flat, but it is totally up to you. Click here for a photo tutorial on how to block your work. 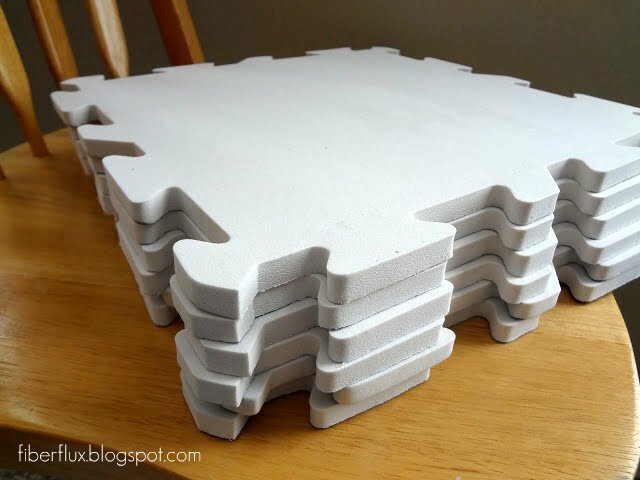 Here's a little tip too...no need for expensive blocking mats, click here and use these instead. Now run the needle through a few of the stitches along the bottom edge. Be sure to flip it over during this step and peek to be sure it is uniformly being woven on the other side too. Pull the needle all the way through. Next, run the needle back the other way through the stitches...and pull the needle all the way through. See that little end peeking out below? Give it another (very) gentle tug in both directions and it will disappear. You could crochet the two pieces together using the slip stitch. Or you can sew them together using the whip stitch. Click here to learn how to whip stitch your project step by step. Once you're finished, you'll have to weave in those ends too...sometimes I like to save all of the weaving for last. All finished! Now throw it around your neck and go show it off! If you received this post in your email, you could also reply to the email with a photo. Have a lovely weekend, stitchers! Thank you for this tutorial! Weaving in ends does make difference!